Enjoy spectacular views of Flathead Lake from our family-friendly resort near Lakeside, MT. 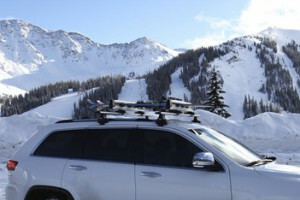 Enjoy 250+ inch snowfall for X-C, snowboarding and downhill ski excitement. The Blacktail Mountain Ski Area is surrounded by national forest lands and boasts 200 skiable acres of uncrowded white powder. The trails are for skiers of all levels of ability, with the terrain rated 15% beginner, 70% intermediate and 15% expert. The ski trail system is perfectly suited for cross-country skiing, too, with the routes following roadways. Blacktail Mountain Ski Area is located in the northwestern area of Montana along the western shore of Flathead Lake. 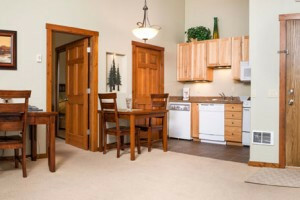 The resort is within easy reach of Lakeside, Whitefish and Kalispell, Montana, by taking Highway 93 South and turning on Blacktail Road in Lakeside. From there it is 14 miles to the Blacktail Lodge. You can catch shuttles to Blacktail Mountain Ski Resort in Kalispell, Lakeside or Somers, Montana. This shuttle service is called the Blacktail Express and costs $5 round trip. Some hotels, motels and inns in the area also offer free shuttle service to the slopes. The ski season here runs from December through mid-April. Blacktail Mountain Ski Resort offers all the amenities you could desire for the perfect skiing trip. Find many facilities within Blacktail Lodge, such as a full-service rental shop, a restaurant with bar, a convenient cafeteria and a shop to purchase new supplies or replace those you left behind. This family-oriented resort also provides daily ski lessons for those as young as three years old as well as professional childcare facilities. Contact Blacktail Mountain Ski Resort by calling 406-844-0999.